Please note that our shop is a RFQ (Request For Quote) service. Add any product and quantity to your cart and send your quote request to us. We will respond asap with a final quote based upon quantaties and delivery address. 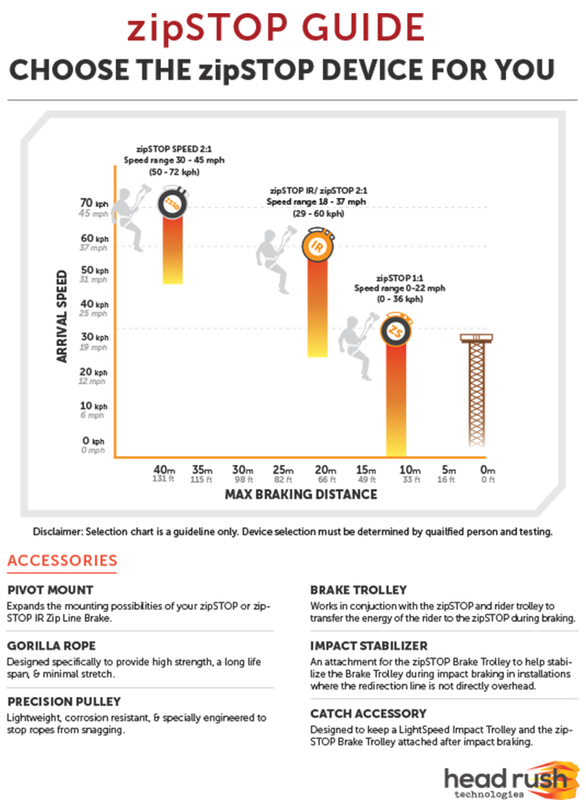 The zipSTOP braking system will revolutionize the challenge course industry. The zipSTOP uses a self-regulating magnetic brakingsystem to brake zip line participants safely and comfortably. With the ability to brake participants safely at high velocities, the zipSTOP will fill a critical need for zipline operators.